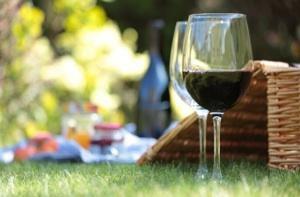 Planning an elegant picnic is easy. When the weather warms up and you want to spend an afternoon outside, why not whip up some elegant picnic recipes? If you're looking to plan a special outdoor meal, these dishes aren't part of your same old picnic lunch. This salsa isn't your everyday dip. It's sweet, tangy and a little spicy, making it a unique taste experience. In a large bowl, mix onion, tomatoes, papaya, and garlic. Sprinkle with mirin and hot sauce, mixing well. Gently fold in cilantro and serve! Cheese is a great outdoor snack because the only real utensils you need are crackers and a knife. This elegant spread is sure to impress your lunchmates. 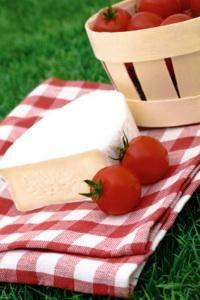 Cheese makes the perfect picnic food. Find a nice decorate platter large enough to hold a lot of cheese and crackers. Place a small ceramic bowl or ramekin in the middle on the platter. Create concentric rings of the different kinds of cheese, making a nice fan pattern around the bowl in the middle. Create rings of crackers and crostinis around cheese, continuing the fan pattern. Fill the bowl with marcona almonds. Cover with aluminum foil for transporting outdoors. Baby greens salads can be very elegant if you make them with special ingredients. This salad in definitely a simple gourmet dish! In a large portable bowl, toss greens with grapes. Crumble feta cheese over salad. Cover with foil and store in a cool place to prevent greens from wilting. Just before eating, toss with balsamic vinaigrette until all is well incorporated.